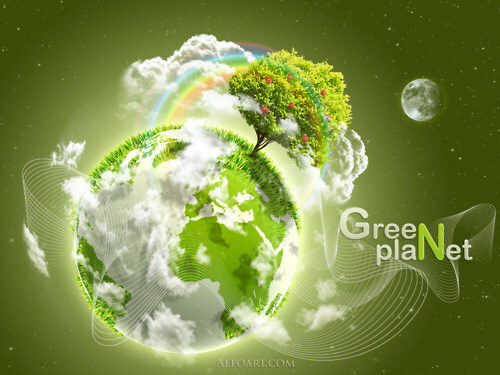 Beautiful Earth, home to plants, animals and humans, is the third planet from the Sun. It’s the fifth largest planet. Some of the other planets have atmospheres, seasons and even water, but only Earth combines all these elements in just the right way. Earth is the only place in the solar system where life is known to be found. Most of the places on Earth experience four seasons, caused by the earth’s rotation and tilt. When it’s winter in the northern hemisphere, it’s summer in the southern hemisphere, and vice versa. The Earth is surrounded by a blanket of gases that protects it from the sun. The atmosphere is mostly nitrogen – about 78 percent. 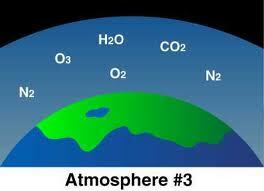 The atmosphere also contains oxygen. Earth is often called the ocean planet. Its surface is 70 percent water. Earth is often called the ocean planet. Its surface is 70 percent water. The oceans help regulate the temperature of the planet and influence weather. The Earth has a molten inner core made of iron and other metals. Under the Earth’s crust are plates that slowly move against each other (Plate Tectonics). This movement causes mountains, hills, volcanoes and even earthquakes. The Earth’s atmosphere protects the planet from meteors. They usually burn up before they reach the Earth’s surface. Earth’s atmosphere reaches out for 10,000 km (6,213.7 miles). A strong magnetic field keeps our atmosphere securely blanketed around the Earth. Earth is the only planet that mankind didn’t name after a God. In our solar system, Earth is the most dense planet. The International Space Station is the most expensive man made object costing more than $150 billion and still has ongoing maintenance costs. 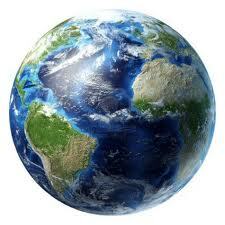 The Earth’s circumference is 24,901 miles. The Earth travels around the sun at a whopping 67,000 mph. The hottest temperature recorded on our planet was in a place called El Azizia in Libya, the temperature recorded in 1922 was 136 degrees Fahrenheit. The coldest temperature ever recorded on Earth at ground level was -128.6 degrees Fahrenheit in Antarctica 1983. The tallest mountain on Earth above sea level in Mount Everest. The tallest mountain on Earth from base to summit is actually Mauna Kea, however 16,400 feet of Mauna Kea is below sea level. It is estimated that there is over 6,000 lightening flashes around the Earth every single minute. The Earth’s most active volcano is the Stromboli Volcano in Italy. The Earth has seven continents, the largest is Asia and the smallest is Australia. Dinosaurs last roamed the Earth about 65 million years ago. The Blue Whale is the largest mammal on Earth. Our largest ocean is the Pacific Ocean. The Earth’s atmosphere protects the planet from meteors.The atmosphere is mostly nitrogen – about 78 percent. The atmosphere also contains oxygen. Earth is the only place in the solar system where life is known to be found. A video song all about Earth. Question: When was the first photo of Earth taken from space? Answer: Before December, 1968, people really had no idea what the Earth looked like from space. The Apollo 8 crew snapped photos of the Earth from the moon’s orbit. Enjoyed the Easy Science for Kids Website all about Earth info? Take the FREE & fun all about Earth quiz and download FREE Earth worksheet for kids. For lengthy info click here. Declan, Tobin. " Earth Fun Facts for Kids ." Easy Science for Kids, Apr 2019. Web. 26 Apr 2019. < https://easyscienceforkids.com/all-about-earth/ >.